In recognition of the many benefits trees provide the City of Dallas created two (2) programs to provide trees FREE for neighborhood plantings: 1) MOWmentum and 2) Reforestation Fund. MOWmentum and/or the Reforestation Fund. 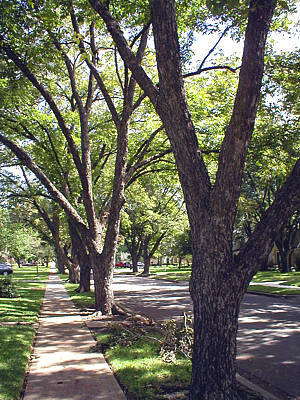 Trees from these programs are targeted for planting in City of Dallas street medians and in the “parkway”, which in most neighborhoods is the strip of grassy area between the sidewalk and the street. Group Tree Planting Application at www.dallascityhall.com/arborist/fund.html . Dallas City Forester at 214-670-1509.